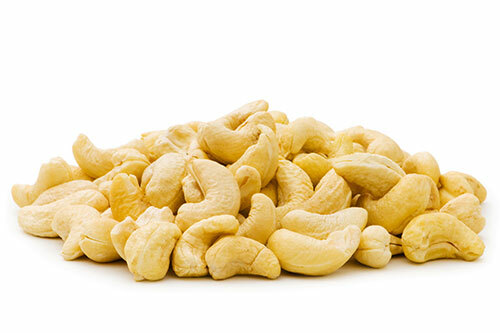 Cashews are indigenous to South America but were introduced as soil binding trees to the West Coast of India by Portugese traders in the 16th century. 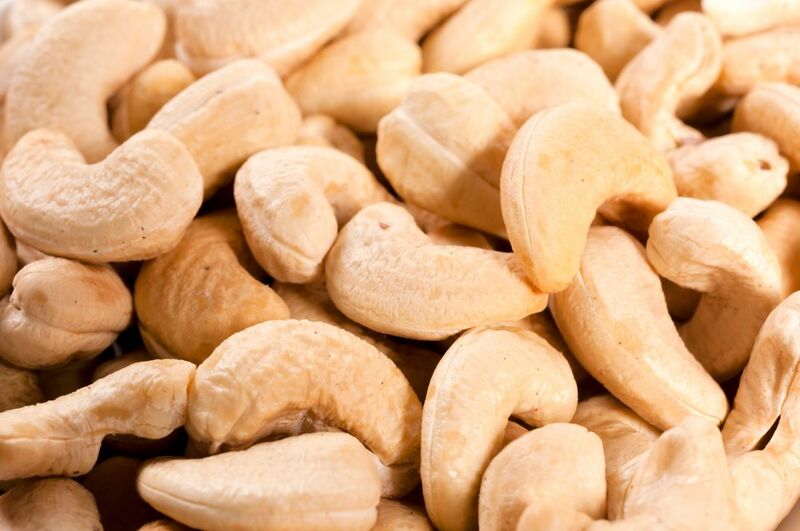 Cashews didn't become important in international trade until the early 1920's. 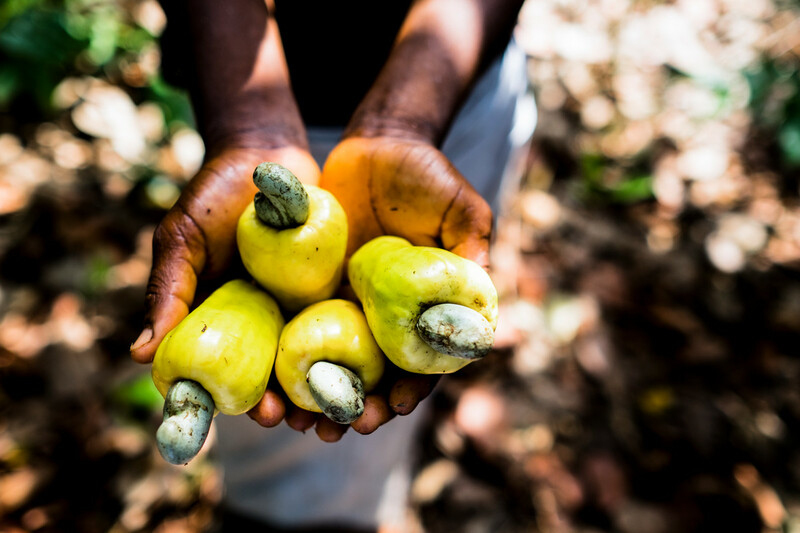 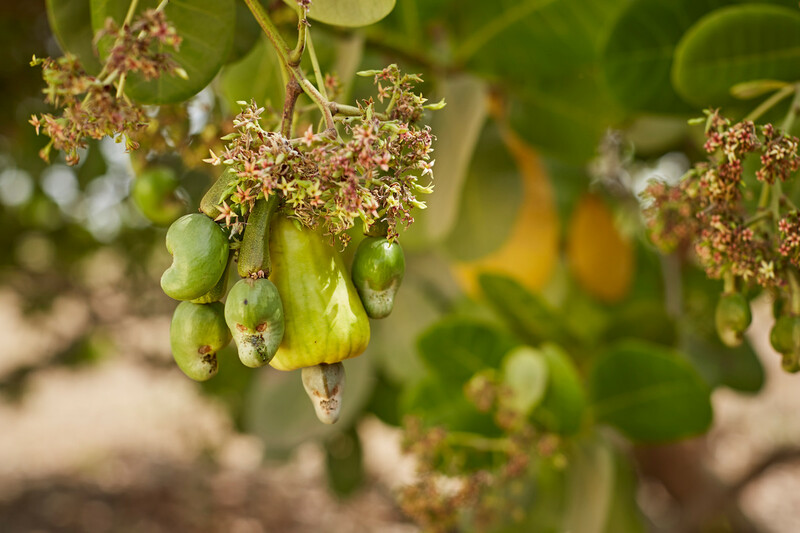 The cashew is a multi purpose tree well suited to poor sandy soils and thriving in areas unfit for other crops. 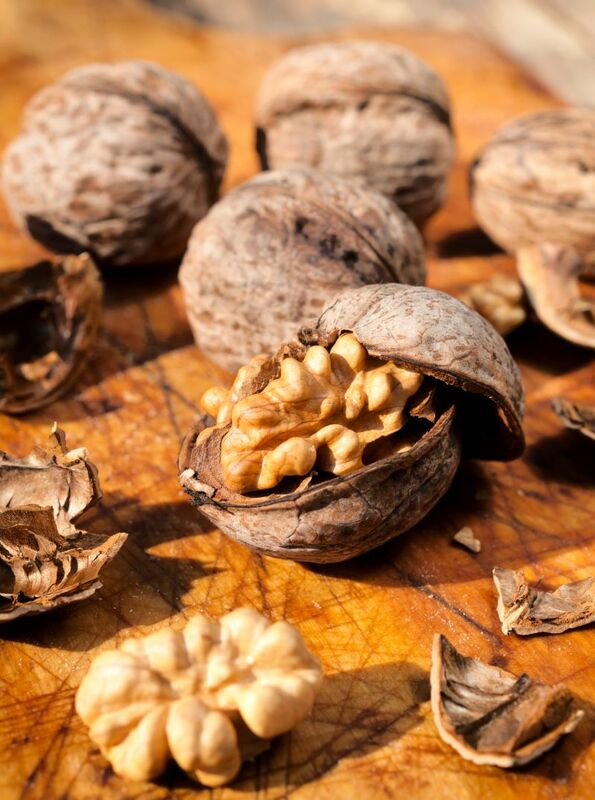 It tolerates high temperatures and drought but not colder poorly drained areas. 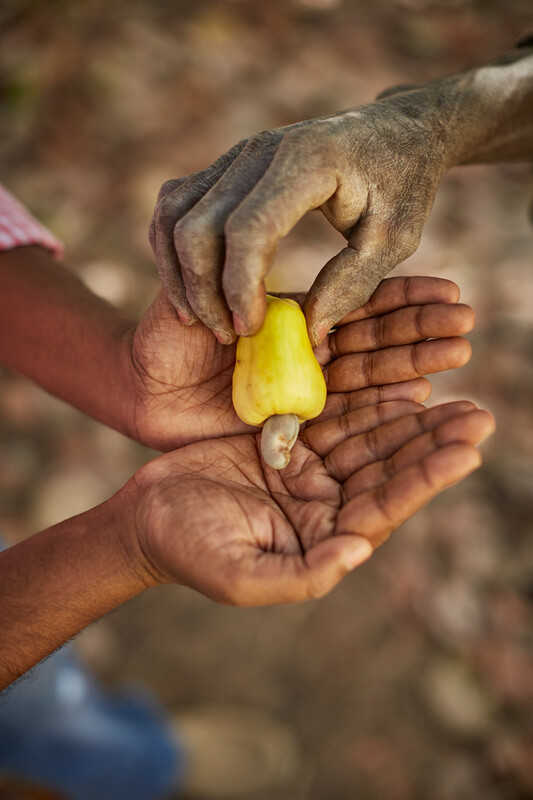 The cashew fruit consists of two distinct parts, a fleshy part called the "cashew apple" with a brilliant yellow or red skin measuring 5-10 cm and a kidney shaped nut of grey/brown colour which hangs from the lower end of the apple and from which the kernel is extracted. 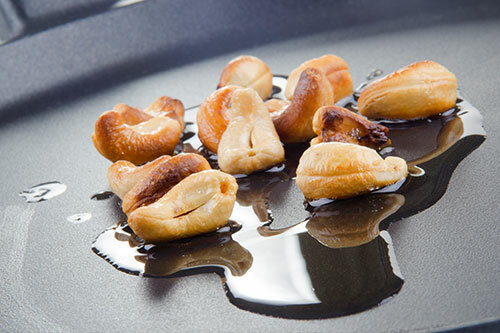 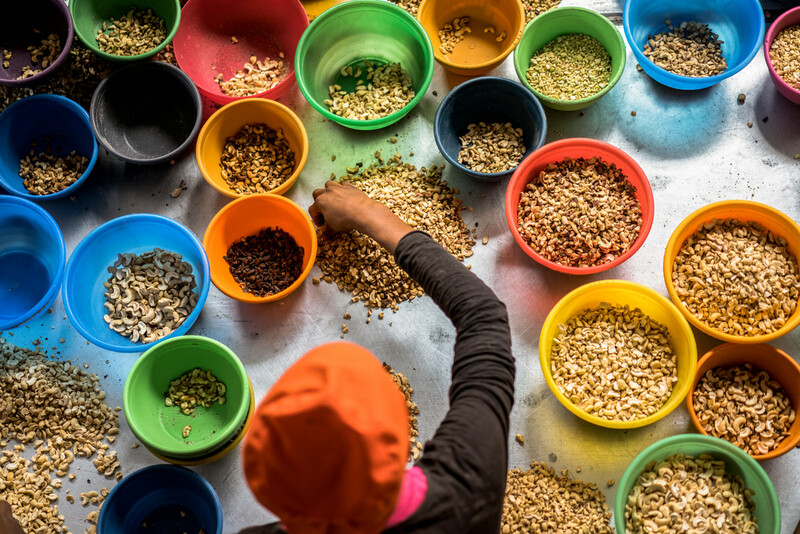 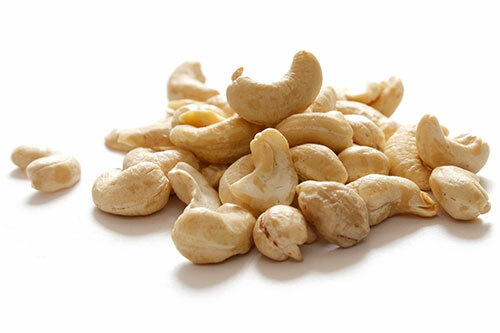 The main product is the cashew nut, rich in carbohydrates and vitamin A. 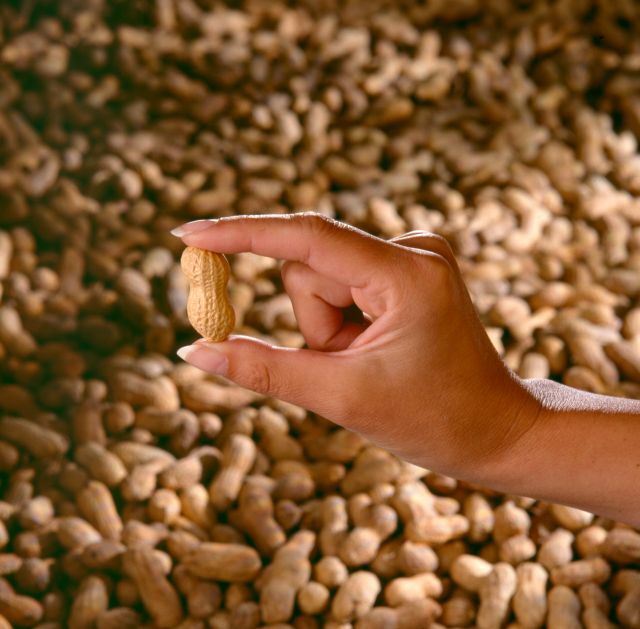 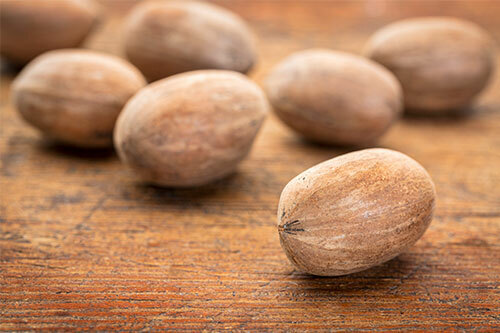 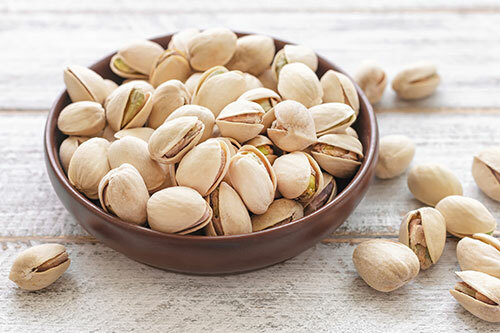 The main use is as salted nuts in the snack food market. 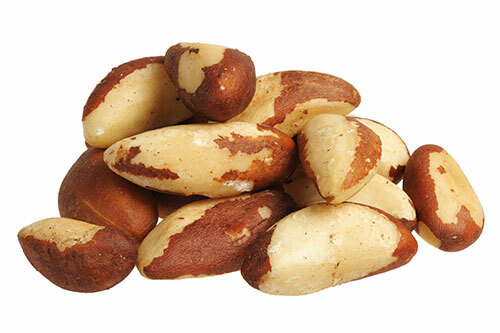 The principal producing countries are India, Brazil, Mozambique and Vietnam.